One bottle of insulin injection. Sterilized insulin syringe with needle and no wrapper. 2 alcohol wipes, cotton balls and one bottle of rubbing alcohol. A container of already used equipment like metal or hard plastic container with a very tightly secured lid or screw-on or a container for sharps. Keep these things in a cool dry corner, wash your hands and dry them before you start. Roll the bottle. If you are using the long-acting insulin with a milky or cloudy appearance, roll the bottle between your palms for about 15 seconds with very gentle movements to mix. Only the cloudy-looking insulin should be rolled. Measure air. Measure the same amount of insulin you require into the syringe. To do this, simply pull back the plunger. This will be needed in the third step to equalize the pressure felt in the vial of your insulin. Match the correct mark on the syringe with the black plunger tip. There are different sizes of syringes. Your diabetes expert or pharmacist will help you choose the one that suits your insulin dose the most. Equalize the pressure. Take away the cap from the crown of the insulin vial to expose the rubber stopper. Bring out the needle cover. Pass the needle through the rubber stopper and press on the plunger to introduce the air into the bottle. This equalizes the vacuum or pressure in the bottle, thereby making it much easier to remove the insulin. Turn the bottle. Keep the bottle in an upside down position, with the needle in place. Cover the entire needle tip with insulin or submerge it in insulin. Pull down the plunger. To get a measurement of your dose, get the plunger pulled down. Again, use the plunger's black tip to match the syringe markings. This will feel a little bit awkward initially and will make you wish you had a third hand, but a little patience is all you need because it becomes easier with each step. Pull the needle out. Pull out the needle from the bottle. Put down the syringe, keep the needle positioned over a table's edge to ensure it doesn't get infected with germs. Choose an injection site. The abdomen is the best place for injecting insulin. Apart from being easy to reach, it also makes absorption easy. Avoid about 3-4 inches around the navel. You can choose any spot from the bottom of the rib cage to the pubic line. You can also use the back of the upper arms and the top of the thighs if you are that flexible. Clutch the syringe like a pen. Use your free hand to gently pinch up skin and insert the needle quickly at an angle of 90 degrees. Press the plunger down using a steady motion until when all the insulin have gone. Remove the needle from your skin. Seeing a small bruise or drop of blood is not abnormal. Always ensure you wash your hands thoroughly using soap and water before administering the injection. Make sure you put a new needle into the pen. Perform at least 2 units’ air shots to get rid of any bubbles in the needle-if you fail to obtain a steady flow, do the air shot again to obtain a steady flow. Get your dose dialed up-the method you use here will be determined by the type of pen you have. Select one soft fatty spot to administer the injection-thigh tops, bum, belly, and triceps are some ideal spots. This is not often recommended for thinner people and children. Raise some folds of fat flesh between your fingers and thumb very slightly-leaving a large space in between where the needle will be fixed. Fix the needle-if you are very thin, you may have to fix the needle at an angle of 45 degrees in order not to inject into your muscle. Press on the plunger, to get the dose injected, very slowly. After injecting the dose, keep the needle held in for about 10 seconds to reduce the amount of insulin that escapes. If any insulin or blood escapes, use a tissue paper or cotton wool to wipe it off. Make sure you deposit the used needle into a bin. Myth: There is no gain without pain. Fact: As a matter of fact, it should not hurt. If it does, you are doing it wrongly or probably using the needle several times. It is a known fact that certain parts of our body contain more nerve endings than other parts. So try some other areas if one area hurts too much. Myths: Pens are more accurate and therefore better than syringes. Facts: There are several results of clinical studies that tell you how pens help minimize dosing errors, raise compliance, and increase the quality of life scores. But what they don't tell you is that pens cost a lot more on several insurance plans. And if you take larger quantities of insulin, a pen won't last beyond two or three uses. And while the use of pen in the laboratory may lead to more accurate there are several human factors to be considered that may possibly bring in some errors. If you use a syringe well, it sure beats a pen you use poorly. Myth: Once you see the site of an injection bleeding, it means you must have hit a vein and will most likely develop hypoglycemia. Fact: Or maybe not. Some parts of the human body contain more capillaries than other parts. If you see some blood, do not panic. It is a normal occurrence. Bleeding at the injection site may simply mean that you have managed to rupture one or two capillaries. And not necessarily that you have mainlined the shot. 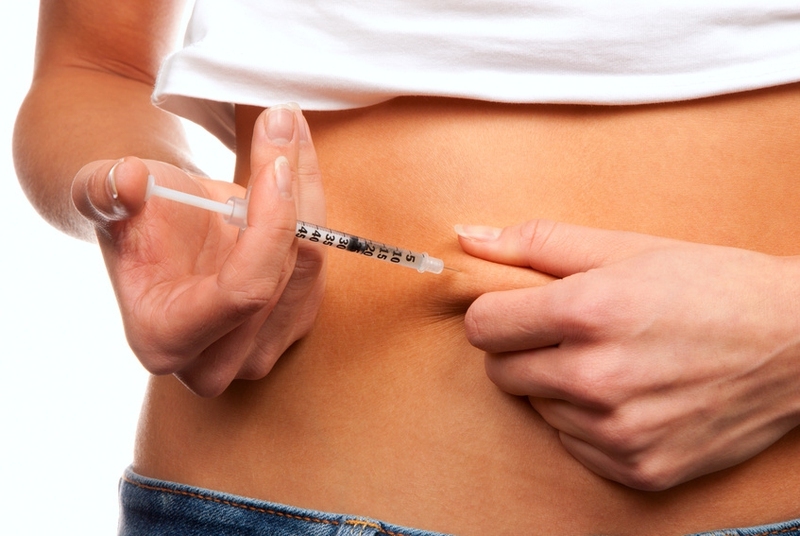 Myth: If you use a short needle for the injection, insulin will likely leak from your body. Fact: The insulin you see on your skin after removing your needle is known as backflow. It the insulin that flows back to the injection pathway once the needle has been removed. According to mythology, it happens more in fatter people and with shorter needles, but the two claims are untrue. Backflow occurs with syringe and pen, it occurs with every needle gauge or thickness and lengths. It can occur in both fat and skinny people. Backflow is a biological phenomenon. However, studies have shown that it is a significantly constant percentage of the insulin injection. This shows that the backflow is directly proportional to the dose, and this implies you do not have to worry about this with changing doses, since the loss to backflow is a constant percentage. Server responsed at: 04/22/2019 9:03 p.m.